One university is challenging antiquated understandings of gender in the BEST way: with pins! 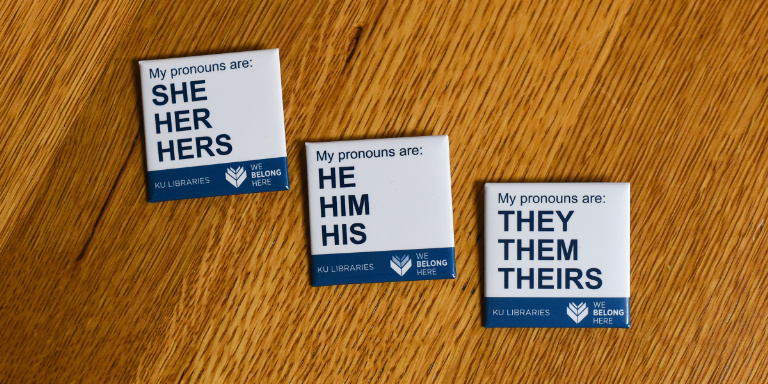 According to Cosmopolitan, the University of Kansas libraries is offering gender pronoun pins, proving that progress has been made, despite how hopeless things can sometimes feel. Gender identity matters, and this is such a huge step in the right direction. We’re so happy about this. According to the newspaper Lawrence Journal-World, the pins are entirely voluntary, with library employees, visitors, and students welcomed to give the pins a try. Why the gender identity pins? The university explains that pronouns matter, and we’re cheering. "Because gender is, itself, fluid and up to the individual. Each person has the right to identify their own pronouns, and we encourage you to ask before assuming someone’s gender. Pronouns matter! Misgendering someone can have lasting consequences, and using the incorrect pronoun can be hurtful, disrespectful, and invalidate someone’s identity." Yes, yes, yes! This is so important. What’s so amazing about this is that the act of wearing a pin with your gender identity written on it is *such* a teachable moment, as it helps people realize that the gender we perceive people to be isn’t always the accurate one. It’s absolutely loaded with empowerment, too, especially for those who are able to come out as trans, gender non-conforming or non-binary in this simple, and yet so major, way. 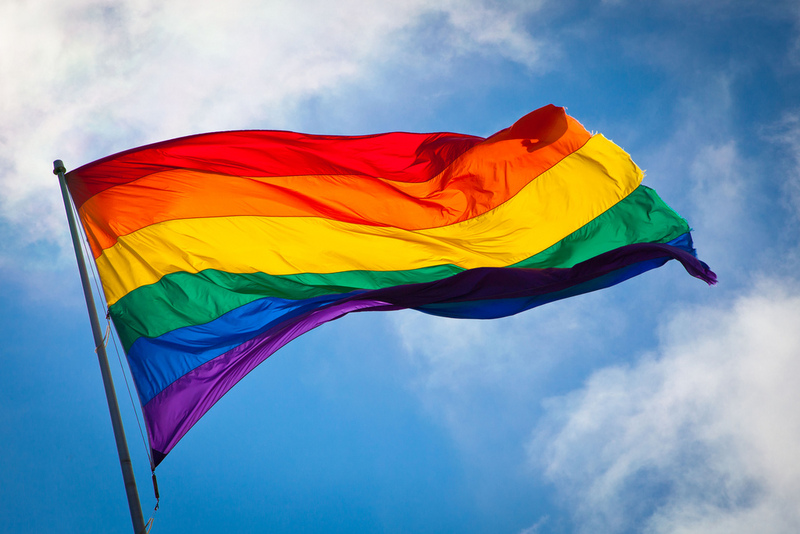 "A commitment to support the voices of marginalized people is part and parcel to the libraries’ commitment to the values of the First Amendment." Hell yes. We’re seriously *so* here for this move. Plus, the simple fact that the library would even think to make this happen proves that it’s a place where gender identity is understood and respected, making it a safer and more welcoming space for people of all genders. We heart this! And we hope to see more and more schools doing the same.